About Us... 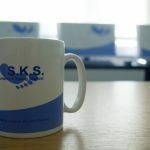 Contrary to the traditional college courses, S.K.S. runs very small groups, with a maximum of 10 learners per class. 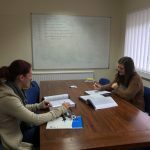 Our excellent pass rates prove that the small groups offer our learners confidence to grow and achieve their goals. 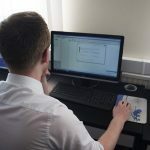 AAT - Level 2 is studied over 6 months, level 3 over 10 months and level 4 takes a maximum of 12 months to complete. 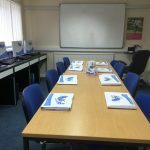 We offer training in small groups, never more than 10 learners. 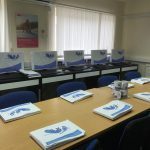 It is a friendly, informal environment run by qualified, experienced lecturers who have vast experience in teaching and working in accountancy for a number of years and we boast excellent pass rates. ACCA - If you have chosen a career in accounting then studying ACCA can help you to gain the knowledge to be a professional accountant. Knowledge Module - helps you to learn the core areas of financial and management accounting. F1 - Accountant in Business, F2 - Management in Accounting, F3 - Financial Accounting. Each exam is a 2 hour computerised exam. Skills Module - Covers the technical areas of law, performance management, taxation, financial reporting, auditing and financial management. This level is equivalent to a Bachelor's Degree. F4 - Corporate and Business Law, F5 - Performance Management, F6 - Taxation, F7 - Financial Reporting, F8 - Audit and Assurance, F9 - Financial Management. Each exam is a 3 hour written exam in June and December. CIMA combines accounting, finance and management skills to help you achieve your business career. Certificate Level is the entry route to the CIMA qualification. If you have exemptions then you may be able to go straight to Operational Level. Operational Level E1 - Enterprise Operations, P1 - Performance Operations, F1 - Financial Operations. Management Level E2 - Enterprise Management, P2 - Performance Management, F2 - Financial Management.